Mary Polon's "Papa's Bakery," an oil on canvas done in 1988, will be among the pieces on display at the Lionheart Gallery in Pound Ridge, N.Y., just over the New Canaan border. As an outlier of the popular New York School of the 1950s and '60s, painter Mary Polon's inventory exists as a chronicle to the permutations of art that agitated toward the edge of representation and abstraction during the last half of the 20th century. Twenty-one of Polon's works in oil will be shown for the first time at the Lionheart Gallery, which is just over the New Canaan border in Piound Ridge, N.Y., during an exhibition that continues through Sunday, July 27. The exhibition was organized by her daughter, Marilyn Glass. "My mother never cared to show her work," Glass, also an artist, said. "She'd say, `All I want to do is paint.' " She painted in the kitchen of the one-bedroom apartment in Long Beach, N.Y., that she inhabited for decades after divorcing Glass' father in the late 1950s. Whenever Glass visited, she found Polon at her easel, listening to opera on the radio. "What I was seeing was a very passionate artist. I think painting was her salvation." 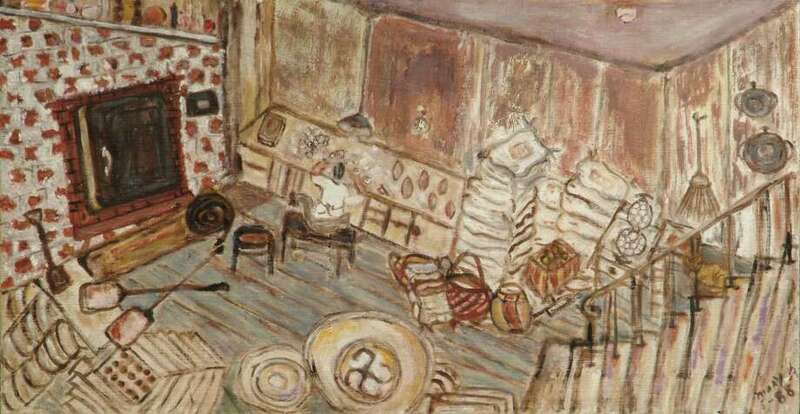 Polon took up painting in the years leading up to her divorce, studying at both the School of Visual Arts and the Art Students' League in New York City. In her work, Polon relived her finest moments, according to the gallery. She died after being evacuated from her nursing home during Superstorm Sandy. She was 96. When she died, Polon left more than 100 paintings. The gallery, at 27 Westchester Ave., is open Friday to Saturday from 11 a.m. to 5 p.m. and Sunday from noon to 4 p.m.
For information, call 914-764-8689 or visit www.thelionheartgallery.com.